Virgin Atlantic Boeing 747-400 – on eBay! Virgin Atlantic retired their ‘Lady Penelope’ Boeing 747-400 late last year and now it’s on eBay. The starting price is US$299,000.00 with a buy it now price of US$900,000.00. Engines and shipping aren’t included. There is also a Facebook page with lots of pictures. The description is pretty good and sounds like a genuine auction. But like any purchase on eBay, it’s worth doing some detective work before bidding and buying. There were some aircraft related parts – but the most expensive was about US$1850. So either this seller has stepped into the big time or the whole thing is a hoax. 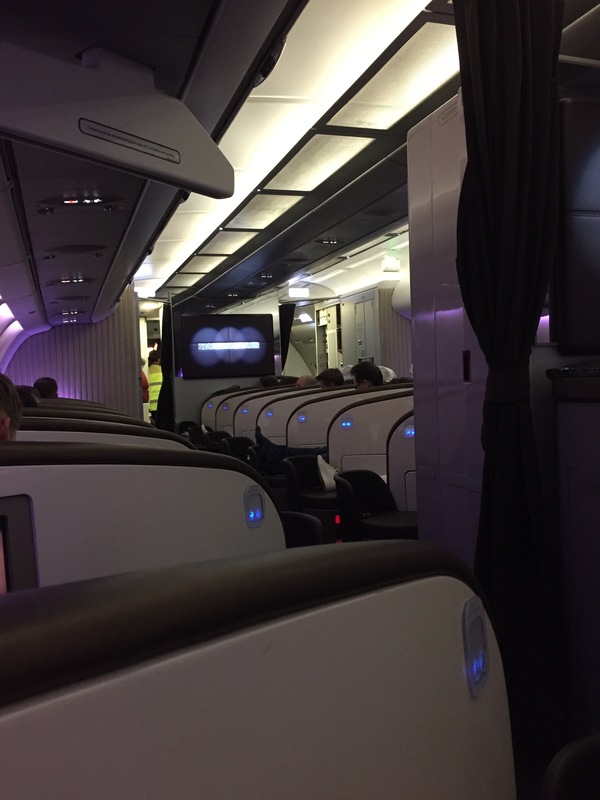 Here’s my picture of the Virgin Upper Class cabin (albeit on an Airbus) from my review last year.